eNews Content Available in 90 Languages! International Journal of Dental Hygiene is the official scientific peer-reviewed journal of the IFDH. The journal brings the latest scientific news, high quality commissioned reviews as well as clinical, professional and educational developmental and legislative news to the profession world-wide. Thus, it acts as a forum for exchange of relevant information and enhancement of the profession with the purpose of promoting oral health for patients and communities. 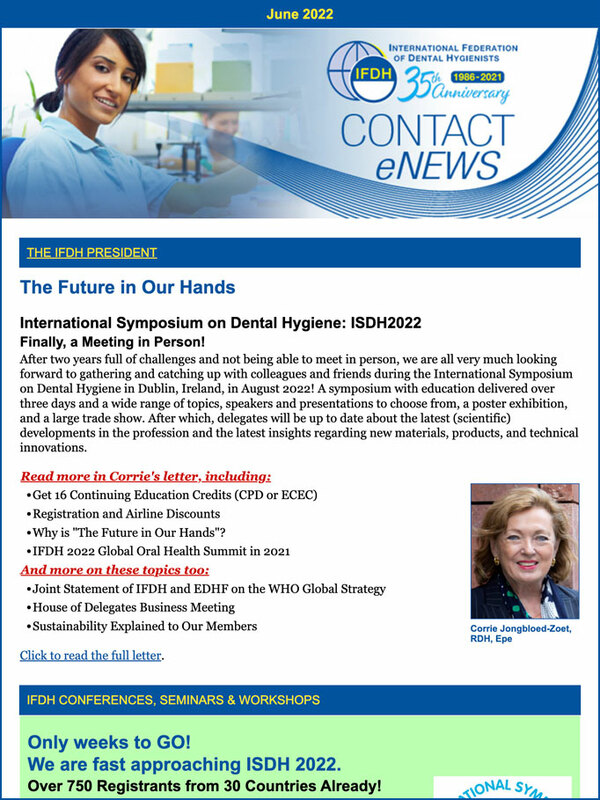 International Journal of Dental Hygiene is published quarterly. Special subscription rates are available for IFDH Members.